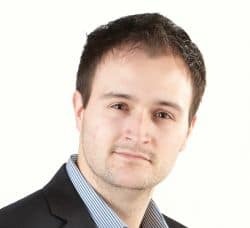 mmadigital, the online marketing agency for the legal sector, has appointed Dan Walsh from leadership and brand engagement specialists Cirrus Connect to lead its client accounts. Reporting directly into mmadigital’s CEO, Dez Derry, Dan joins as head of project and account management bringing with him 10 years’ experience of project managing multi-million pound marketing campaigns accounts for blue-chip clients, including: RBS, HSBC, Lloyds Banking Group, 3, ASDA, Tesco and law firm, DWF. With a law degree, and professional services experience, Dan is ideally placed to help the agency increase its presence in the legal sector. Just last month it announced it was re-focusing its business solely on providing web design, video and, lead generation campaigns for law firms in response to a five-fold increase in business from the sector. Dan’s role will be focused on developing new client care strategies for the agency and act as a key point of contact for clients.